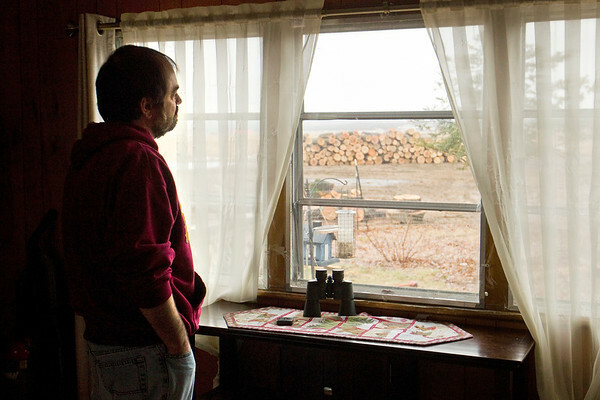 Michael Mariage looks out the window of his home in the Town and Country community, where trees removed by Traverse City Cherry Capital Airport as part of its runway expansion project sit in stacks. "This place used to be so gorgeous," he said. "All for a few more seats on a plane."